Manchester City is likely the Premier League’s best hope for European glory. Will the Citizens cruise past Basel? Love is in the air this week, perhaps even more so for soccer fans, as the Champions League knockout stages begin. We will of course have ALL of the action live at our Soccer Republic locations so be sure to check them out to find the nearest one to you. Any questions please feel free to contact us, otherwise enjoy the games and check out the preview below! Three Premier League teams will be in action between the four games that take place on Tuesday and Wednesday. Play will resume with the four other two-leg fixtures on February 20th and 21st. Bayern Munich and Manchester City are the biggest favorites in this round of games. City is the outright favorite to win the competition with Paris St. Germain sitting in second, but PSG isn’t even the favorite in Wednesday’s first-leg showdown with Real Madrid. The second leg of the Round of 16 matches will be played in March. Teams always want to get off to a fast start in the first leg, especially if they are hosting. Let’s take a look at the first set of matches in the knockout round. The Premier League leaders will travel to northwest Switzerland in a beautiful setting along the Rhine River for a Tuesday match. Manchester City must be happy with their draw as their form says they should sail into the next round. City won their first five games in the group stage to secure qualification early. They tuned up for this game with a 5-1 thrashing of Leicester City in which Sergio Aguero scored four goals. They now have a 16-point lead in the Premier League and seem to have one hand on the league trophy. Manchester City also seemed to escape the weekend without any further injuries. 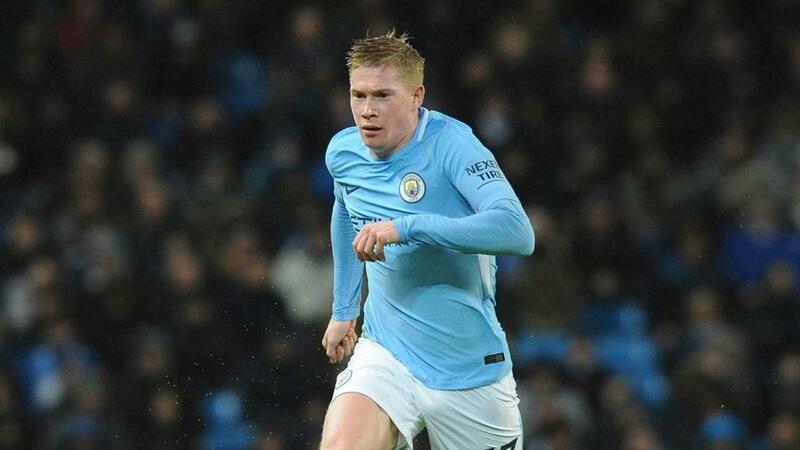 The lineup put out by Pep Guardiola on Tuesday will likely look similar to what was seen against Leicester, with the left back position being up for discussion. Danilo entered as a sub, so he is likely to start ahead of Oleksandr Zinchenko. If composing a lineup on FanDuel, keep in mind that Danilo is one of the cheapest City players available. Basel comes in off a 2-0 win in the Swiss Super League that helped them hold onto second place. However, they will face a new caliber of opponent in City while trying to work through some changes in the back line. They lost their best defender Manuel Akanji during the January transfer window, which may force them to go away from their favored 3-4-3 formation. Valentin Stocker returns to Basel and is expected to start on the right side of midfield despite limited playing time this season. The right side of the Basel team is where any potential threat could come from as right wing-back Michael Lang managed two goals in the group stage. He has eight goals in all competitions this season, although he may be pushed back into a more conventional right back role for this match. Basel cannot afford to allow Manchester City to score in Switzerland. The away goal carries so much weight, and City will be heavily favored when the fixture moves to England. Regardless, there is no reason to believe that City will be troubled too much here. On form, this may be the best match up of the Round of 16. Tottenham and Harry Kane are unbeaten in their last 12 matches while Juventus have won 14 of their last 16 matches across all competitions. Juventus have the best goal differential in Serie A, having allowed just 15 goals and moving into second place, while Tottenham jumped into fourth place in the Premier League this weekend. Juventus finished second in their group, but they are likely happy with their draw — even though Spurs are very good, they aren’t one of the true superpowers that Juve could’ve drawn. They are in a fight for the Serie A title, which may make Champions League competition more daunting as they cannot take any time to rest. However, they are on an incredible run of form defensively, conceding just once in their last 16 games across all competitions. Andrea Barzagli has led a stout back line in Champions League play to this point and will look to keep it going against Kane, one of the best strikers in the world. Kane was the difference in Tottenham’s 1-0 win over Arsenal over the weekend. He now has 23 goals in the Premier League, and he scored six in the UCL group stage. Although much attention will be paid to Kane, it is the Tottenham defense that may need to take center stage. A Toby Alderweireld return could have allowed Tottenham to start out in a back three, a formation in which they have seen great success. However, he has been left off of the traveling squad and will remain home to work on his fitness. Given Tottenham’s recent form, that may be the right call. This match is up for grabs and could be the most contentious of the Round of 16 fixtures. Liverpool stayed just ahead of Tottenham after the weekend settled in the Premier League. Mohamed Salah and Roberto Firmino remained in top form ahead of Wednesday’s clash with the Portuguese leaders. Salah and Firmino might be the best strike partnership in the Premier League, but the Reds’ biggest weapon may be a new center back. Virgil Van Dijk, along with keeper Loris Karius, has settled in well in the last few weeks, bringing stability to a shaky Liverpool defense. There will likely be rotation by Jurgen Klopp from the weekend, but he has managed his team well, and recent results show they are prepared for the next step of the Champions League. Porto have yet to lose in their domestic league and have won their last two by a combined score of 7-1. Tiquinho Soares scored twice in the win this past weekend after scoring the winner in Portuguese Cup play last week. Soares was likely a placeholder for Vincent Aboubakar, who was rested ahead of the clash with Liverpool. Aboubakar scored five goals in the group stage. Liverpool must not let Alex Telles get involved offensively for Porto. The Brazilian left back has been called the most consistent player in Liga NOS this season and continues to provide enticing crosses and dangerous passes into the box. The over/under for this game sits at 2.5, so expect goals and excitement — pretty much the norm for any Liverpool match this season — at Estadio do Dragao. Two of the biggest clubs in Europe will meet on Valentine’s Day in Spain for a heavyweight clash. Both teams come in off of wins, with PSG on better overall form. Real Madrid are in fourth place in Spainwith their La Liga title hopes all but gone despite the second-best goal differential in the league. Meanwhile, PSG is cruising to a Ligue 1 title having scored an amazing 76 goals so far in league play. PSG will be without Thiago Motta, but they should have plenty to choose from for the deep-lying midfielder role. PSG have received good news on Edinson Cavani and Layvin Kurzawa, with both looking to make the starting lineup in an attacking 4-3-3 formation. Cavani will team with Kylian Mbappe and Neymar in one of the most daunting front lines in Europe. PSG is expected to win the league and cup in France, so their season could be judged by their performance in the Champions League. This is the time for them to make a statement on the biggest stage against a Real Madrid team that is not in their familiar form. Real Madrid are trying to salvage their season through the Champions League. They are unbeaten in their last 18 Champions League matches at home and cannot afford to get off to a slow start. Cristiano Ronaldo scored nine goals in the group stage, although they finished as runner up to Spurs in their group. He will be expected to carry the load for Madrid as they attempt to return to top form. Karim Benzema and Gareth Bale should flank Ronaldo along the front of the attack. Real Madrid will have no squad changes from the group stage, but Dani Carvajal will begin serving a suspension. Real Madrid have three draws and two losses in their last nine games across all competitions. That is not what is expected from a juggernaut in Europe and a club that has won the last two UCL crowns. PSG appears to be getting Real at the right time and they Parisians are favorites to move on to the quarterfinals. In the only match of the Round of 16 to feature two reigning domestic league champions, most would probably not realize which one of these teams won their group. Besiktas had impressive group stage form, but they were unlucky to draw Bayern, the team that finished second to PSG in group B. This is the first time that Besiktas have made the knockout rounds. Despite having the best goal differential in the Turkish Super Lig, they sit in fourth place, three points off the top spot. Their warm-up fixture will be against 16th-place Konyaspor after a 5-0 victory this past weekend, and that may give them a chance to rotate the squad. Anderson Talisca scored twice while substitute Vagner Love also hit a brace in just 30 minutes of play. Both should be in line for playing time in the two legs against Bayern with familiar names like Gary Medel, Ricardo Quaresma, and Pepe being counted on, as well. Bayern Munich’s form under Jupp Heynckes has been remarkable. They have allowed just 17 goals in the Bundesliga, and they’ve done it without star keeper Manuel Neuer in net. Heynckes arrived back to Munich in October, and the team was five points out of the Bundesliga lead, but there is now no doubt they will win another domestic title as they are 18 points clear at the top. As if Robert Lewandowski’s goal scoring and James Rodriguez’s return to form weren’t enough to worry Besiktas, there is more good news for Bayern. Thiago Alcantara and Javi Martinez both look to return this weekend in the Bundesliga and should be available for the match against Besiktas. It would take a major stumble for Bayern not to progress in this matchup. Although this is another heavyweight matchup, it is shaping up much like the match in Madrid a week prior given the form of both of these squads. Chelsea have lost three of their last four matches across all competitions (they play West Brom Monday night). Meanwhile, Barcelona are unbeaten in their last seven matches across all competitions with a game against seven-place Eibar to come before Chelsea. There has been a lot of pressure on Chelsea manager Antonio Conte, and he has recently been outspoken about the Chelsea board’s transfer policy. There have been rumors that his job is in jeopardy, but it looks like — for now — he will keep his role until at least the end of the season. However, Conte has basically said he has gotten what he can from the players on his roster. Chelsea will play Hull City in F.A. Cup action on February 16th, but they will likely rest some of their top players. Conte will need his club at top fitness with a match against Manchester United looming after Barcelona. Barcelona, likely to make the quarterfinals for the 11th year in a row, will have one fewer day of rest. Gerard Pique should reach full fitnessin time for the Champions League match. His recent injury has allowed January signing Yerry Mina to get some valuable minutes for Barcelona. The team did look a little sluggish against Getafe in their most recent match, drawing 0-0 despite dominating possession. However, with their edge at the top of the standings in Spain, they can afford to rest and rotate players to be fully prepped for Chelsea. They also still have Luis Suarez and Lionel Messi leading the attack. Remember, January signing Philippe Coutinho will be unable to play for Barcelona in Champions League play. Roma is well off the pace in Serie A, but they have to feel confident about their draw in the knockout round. A win against Udinese this weekend would be three in a row domestically after a poor spell and give them confidence heading to Ukraine for the first leg. Young midfielder Cengiz Under is on a torrid pace, scoring three goalsand adding an assist in his last two matches. The 20-year-old Turkish player has only made eight appearances for Roma, but he may be playing himself into a start in the Champions League. The five-goal outburst against Benevento this past weekend was the most for Roma all season long. They scored three against Udinese in a previous fixture this season and will hope to duplicate that tally to continue to build momentum. Shakhtar is currently leading the Ukrainian Premier League by three points, but they have lost two of their last four league matches. They will play 10th-place Chernomorets Odessa on Friday before hosting Roma. They have scored the most goals in the league this season, but they are third in goals allowed. Shakhtar beat Roma in this stage back in 2011. They have failed to win their two Round-of-16 ties since then. The heavily Brazilian side hope to change their fortunes this season. Forward Facundo Ferreyra leads the team in goals with 13 in the domestic league this season. He managed two goals in the group stage, one behind Bernard for the team lead. Marlos has been the team’s most consistent player all season with 11 goals and 2 assistsacross all competitions. The two assists came against Manchester City on the last day of the group stage. Manchester United were building a solid season, but the last month has not been kind to the Premier League giant. They have lost two of their last three in the league and were shut out in both losses. They will take on Huddersfield on Saturday in an F.A. Cup match and may rest some players to try to regroup before traveling to Spain. Paul Pogba has been the focus of much criticism, including his effort against Newcastle. He has not found his form since returning from injury and was substituted off by Jose Mourinho in the loss. Mourinho said the substitution was not due to injury, and he wanted someone to do the simple things. Alexis Sanchez will be able to play after his January move to Manchester United. He will be a key for United if they are to get by Sevilla. Sevilla will play relegation candidate Las Palmas as their warm-up for the first leg match with United. A win would be just their third in the last five matches; although it would mean back-to-back wins in La Liga for the first time since December 2nd. Sevilla have struggled to score, tallying just one goal in four of their last five matches across all competitions. United have the best goals against record in the Premier League this season. Luis Muriel and Wissam Ben Yedder each have five goals in the domestic league this campaign, but Ben Yedder scored six in the group stage. Still, Sevilla are averaging a touch more than one goal per match in the league this season. United have a good record on their trips to Spain and should be able to continue the trend with the addition of Sanchez.